Andromeda is an action space shooter. 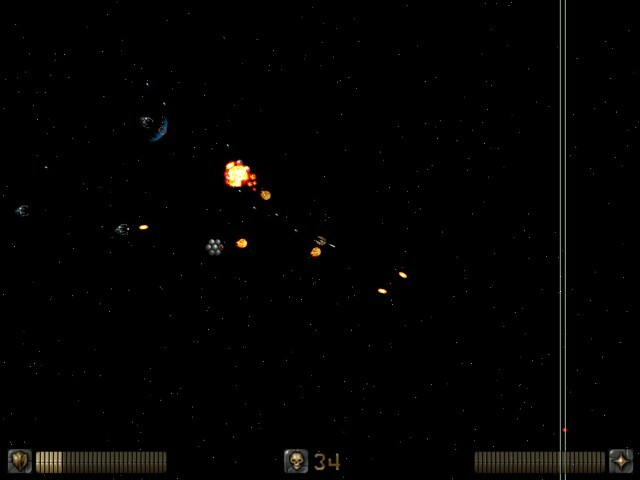 The player is piloting a space ship thats being assaulted by hordes of ever-increasing enemies. There are a variety of tools at the players disposal, like blasters, homing torpedos and an detachable energy pike. The objective is to kill as many enemies as possible before they overwhelm you. Be warned, the game is quite hard!